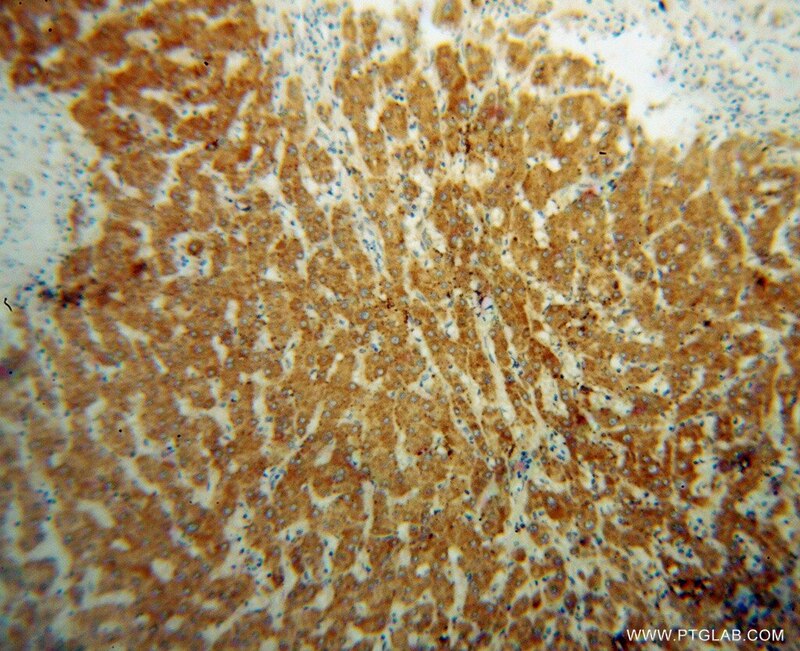 IP Result of anti-ACADVL (IP:14527-1-AP, 4ug; Detection:14527-1-AP 1:500) with HeLa cells lysate 2800ug. Very long-chain acyl-CoA dehydrogenase (VLCAD) is one of four flavoproteins which catalyze the initial step of the mitochondrial b-oxidation spiral. It belongs to the acyl-CoA dehydrogenase family and is a homodimer of a 71-kDa polypeptide which contains 2 mol of FAD/mol of enzyme. The molecular mass of the nondenatured trypsinized VLCAD is 98 kDa, by gel filtration chromatography, indicating that it is a homodimer of the 48 kDa(tryptic digest) polypeptide(PMID:9461620). 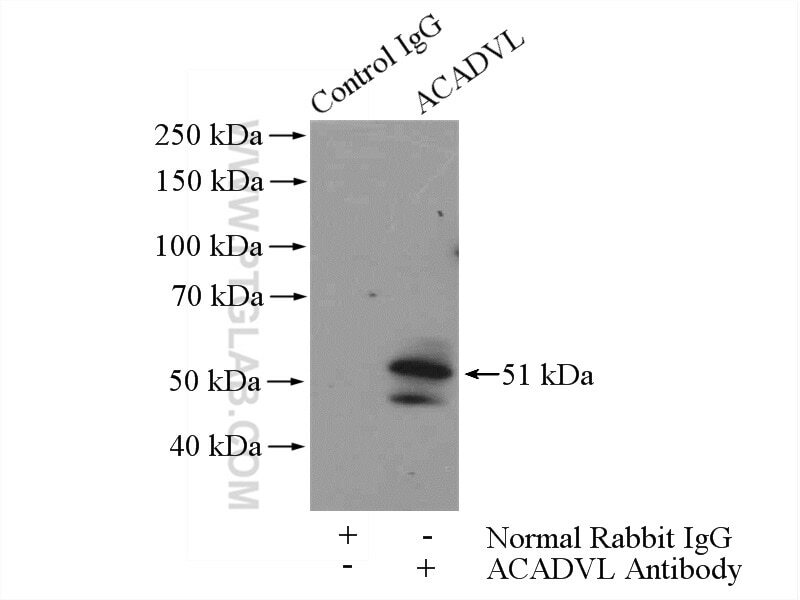 Defects in ACADVL are the cause of acyl-CoA dehydrogenase very long chain deficiency (ACADVLD). 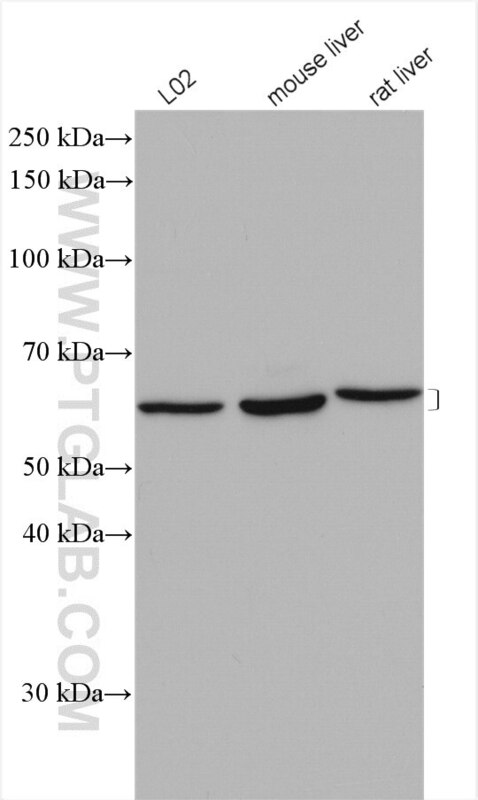 It has 2 isoforms(70 kDa and 68 kDa ) produced by alternative splicing and a transit peptide. 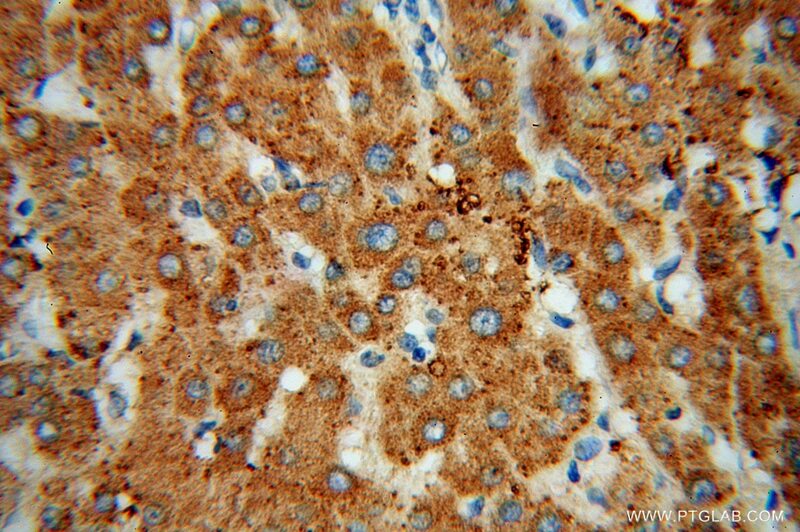 This antibody is speicifc to ACADVL. HIF-1-Mediated Suppression of Acyl-CoA Dehydrogenases and Fatty Acid Oxidation Is Critical for Cancer Progression. Impaired Autophagy and Defective T Cell Homeostasis in Mice with T Cell-Specific Deletion of Receptor for Activated C Kinase 1. Succinate accumulation impairs cardiac pyruvate dehydrogenase activity through GRP91-dependent and independent signaling pathways: therapeutic effects of ginsenoside Rb1.